For the first time in Australian legal history a robot lawyer will be able to process legal matters for online users. Australian law firm Doogue O’Brien George the Melbourne based law firm is launching a new AI lawyer to assist with minor criminal convictions. The technology is based on a Dutch AI model Rechtwijzer and will assist those with minor violations with the opportunity to explain their circumstances in a fashion that is more conducive to reflective thinking. Often people are embarrassed admitting even minor infractions, and this can be exacerbated when speaking to a real life lawyer. People can feel intimidated and out of their depth with the specialist language lawyers’ use. When confronted with court some people cannot answer as they would prefer to. Instead many get flustered, embarrassed and rush in order to get the experience over, delivering monosyllabic answers. Link By being able to log into an online AI lawyer people will be able to answer the questions in a comfortable environment and have enough time to give considered answers. These answers are then delivered in a way that a magistrate can quickly ascertain the facts of the matter before them. The robot lawyer is an AI algorithm or cognitive computing program that has nested query sets according to the subject that is being examined. The query sets are drafted by real lawyers from question sets that they utilize day to day. The AI tracks a pathway through the questions which result in a correlated data set, the information from which is compiled and made into a report. The question sets are divided up into the categories that have been pre-defined. The robot lawyer is able to act in a number of matters ranging from drunk and drug driving, assault and theft amongst others. “The robot has a number of hurdles that it places in front of people, but they have to be pleading guilty, it has to be a minor offence, and they can’t have priors,” Mr Doogue said. Minor infringements are only the beginning, and elsewhere in the world we are seeing countries adopt these technologies for a variety of matters, both criminal and civil. In the Netherlands the program has been successfully utilized for family disputes and in Canada it has been modeled to resolve tenancy disputes. 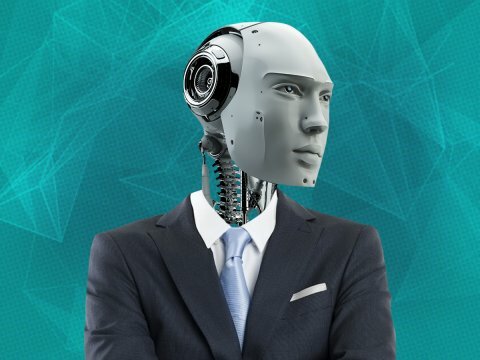 The legal community is divided over the introduction of robotic lawyers with some law firms wary over the new technology, concerned about the accuracy of the process and the effect it will have on the profession. Other law firms are strongly in support, embracing the technology, predicting that the new technology will bridge the widening affordability gap between those who are eligible for legal aid and those who can afford lawyers. 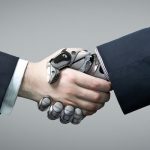 Regardless of opinion robot lawyers are a present day reality and the legal profession, like many others in the past, will have to adjust to accommodate new technology.